START: Immediate for a minimum 3 month period, ideally the right person will be willing to stay on a more long term basis to provide a stable, sustainable future for the organisation. For health reasons the current Director is in desperate need to step down from her duties & requires an immediate replacement. Vietnam Animal Aid & Rescue- Animal rights rescue shelter & farm sanctuary. A charity looking after the wellbeing of all species & promoting the need for change through education, community outreach, rescue, rehabilitation & adoption of abused/ neglected animals, fundraising & campaigns, sterilization/ vaccination programs. 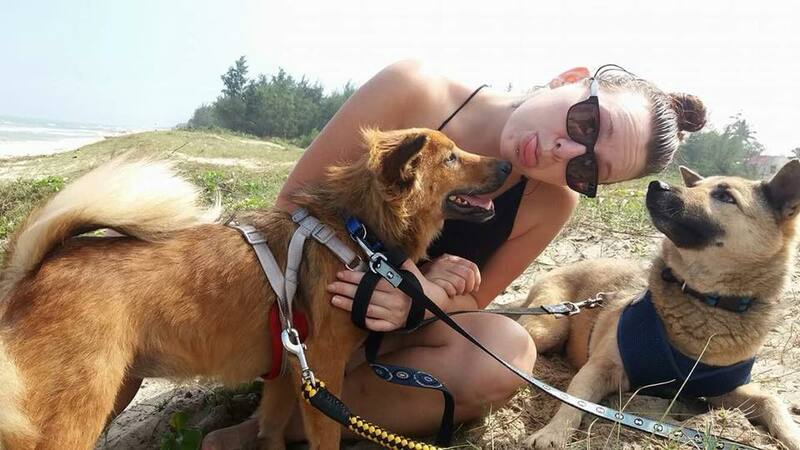 On-site manager for the animal shelter and our programs for Hoi An and soon in Hanoi. An extremely reliable and hard working team player with a minimum of 2 years experience working in the animal welfare sector with basic veterinary care knowledge & marketing management. Social media/marketing, fundraising, human resource recruitment, financial management, and sterilization/ education program development. Our essential lifeline is expanding on the ongoing support of donors & the generation of a media presence. You will manage the organisation with help from the board, accountant/administrator, and shelter manager. Fluent English speaker with great writing skills required. Must have experience living and working in developing countries like Vietnam and an understanding of animal rights movements. This is an opportunity for a person with appropriate skill level to step up & assist in a time of need. If you really have what it takes, this is meaningful work that is not possible without the absolute commitment of a serious individual who is motivated by compassion not pay check. Free on-site accomodation is provided. The role will start initially on a three month volunteer/trial basis with small stipend for living expenses, then a suitable candidate being offered a work permit and salary commensurate with experience. Three references and criminal background check from country of origin required therein. Please email for more info or visit our Facebook page: Vietnam Animal Aid and Rescue & spread the word to anyone you think may be interested.